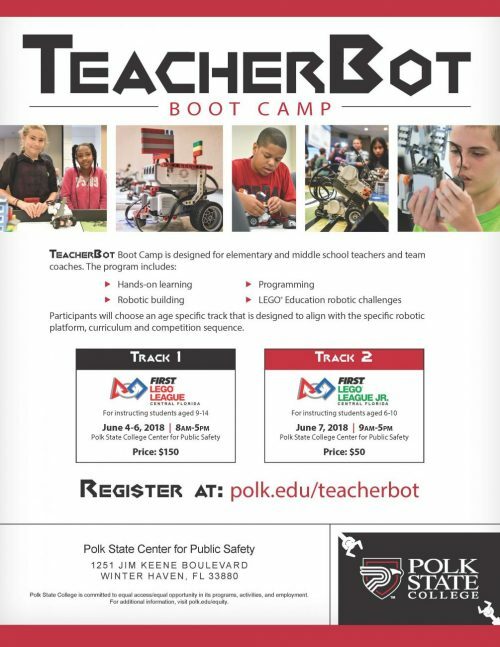 TeacherBot Boot Camp is designed for elementary and middle school teachers and team coaches. Participants will choose an age-specific track that is designed to align with the specific robotic platform, curriculum and competition sequence. Located at the Polk State Center for Public Safety.